Kaerwell is a family owned and operated company headquartered in Orlando, Florida. 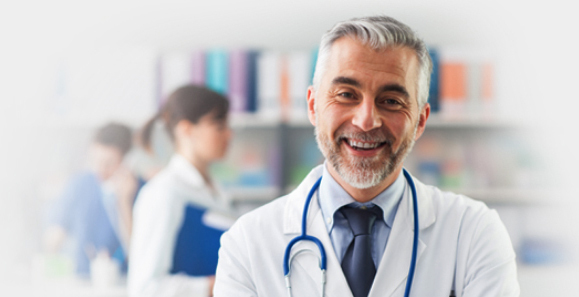 Kaerwell is the leading educational and practice implementation solution for healthcare practitioners. It all started in 1993 when Ivaylo was welcomed into Ranel’s home as an exchange student in pursuit of his dreams to study finance in the U.S. He got to spend a year with Ranel as part of his family where he was first exposed to the beginnings of the ecommerce revolution which changed our world. Ranel was busy working 12-14 hour days on the very forefront of this movement. Fast forward to 2010. Ivaylo, Kate and Ranel were working together in a successful professional grade supplement brand that Ivaylo co-found in 2008. They were trying to find a solution and help practitioners with the attrition rate that many of them encounter. Practitioners would add new patients every month, but their supplement sales often remained the same. After countless marketing consultants and research, the team narrowed down the issue to patient convenience. Ivaylo, Kate and Ranel spent the next two years developing a state-of-the-art new website for their professional brand with all of the bells and whistles of the big internet retailers such as suggested products, one-click ordering, ratings, reviews, etc. After much anticipation to boost revenue and compliance the new site launched in 2013! It failed. Compliance improved slightly but not enough to truly help their practitioners. That is when the team had a big realization – it does not matter how nice and functional is the brand’s website. At the end of the day, most practitioners are still asking their patients to go to four or five websites to purchase their supplements. That means going to multiple sites, remembering different logins, searching through thousands of products, paying multiple shipping charges, coordinating everything is delivered on time…and repeating this on a monthly basis. Of course it would not work! Dedicated to help their practitioner customers, that is when the idea for Kaerwell was born. Kaerwell officially launched in 2014 as it was then called Wellness Storehouse. An innovative solution fully built from the ground up with a simple vision – to make it easy for brands, practitioners and patients to work together with the goal of improving patients health. One trusted platform, where the patients can go and get everything their provider is recommending, sourced directly from the manufacturers and under the supervision of their practitioner. That makes it truly safe, convenient and eliminates the need to try to shop at third party online resellers. 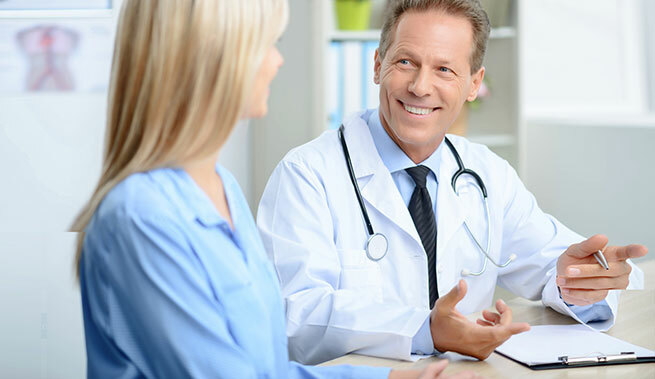 Patients also get the truly personalized service they deserve. Kaerwell’s dedication to help their practitioner customers is unmatched. That is why recently Kaerwell launched another industry first – a fully integrated educational platform. It allows practitioners to easily find all of the educational events from the brands they trust in one place. It also let’s them watch recorded events along with their associated products and allows them to instantly implement everything through their dispensary at a click of a button. Completely free. Kaerwell will continue to grow and evolve in our pursuit to help our customers. Join us and grow with us! We strive to make the integration of functional therapies simple for practitioners by providing them with the educational, technological and logistical support. Our vision is to improve the health of every patient in the U.S. by supporting medical practices to make nutritional and lifestyle therapies an integral part of their standard of care. Independent, objective and transparent in our dealings with brands, practitioners and patients. A strategic ally to the practitioners in providing them with the tools they need to achieve better patient outcomes. Driven by innovation to meet our customer needs. Ivaylo is the CEO and Co-Founder of Kaerwell. He is passionate about improving the healthcare and patient outcomes in America. He strives to do so by increasing access to high quality supplements to patients, and relating the latest clinical advancements and best practices to clinicians. By helping manufacturers, educators, practitioners and patients to work together, everyone wins. Prior to launching Wellness Storehouse, Ivaylo was the President of another leading professional grade supplement company. His experience there taught him first hand the many challenges integrative practitioners are trying to resolve daily. Through his almost 17 years experience in the healthcare field, he saw how having the right supplement, recommended by a medical professional, can make a world of difference in a person’s life. Ivaylo’s vision and leadership have been recognized by many-from professional grade manufacturers to many of the clinical educational leaders. While his customers tell him that they appreciate the expertise and integrity he brings to the table, what they value most is his ability to help simplify the complexity in their minds and in their organizations. Ivaylo has a unique ability to clearly see the big picture and create a road map to achieve it. Kate is the COO and Co-Founder of Kaerwell. She is also a breast cancer survivor, a wife, and a step-mom. Prior to starting Kaerwell, Kate was the National Sales Manager of a professional-grade supplement company. That is where she was in charge of helping provide practitioners with the latest educational research and help grow their practices. Through numerous processes she implemented, she also ensured the patient experience is unmatched. She also understands the importance of the practitioner/sales rep relationship and is proud that Kaerwell provides tools such as real-time access to sales and reporting for proper allocation of commissions. 2016 and early 2017 was a difficult period. She was diagnosed with breast cancer. Even while undergoing treatments she continued to work full time in implementing a number of solutions aiding Kaerwell’s customers. As a breast cancer survivor, she recognizes how important a healthy lifestyle and supplements are for individual health outcomes. She has a passion for education and improving the application of technology to help practitioners and patients in their quest for health. Dr. Ranel Erickson brings substantial experience to Kaerwell in teaching, managing, collaborating and developing e-commerce, database and multimedia systems. After graduating from Stanford University with a doctorate degree in Operations Research (mathematical analysis of business opportunities) he joined the faculty of the University of Nevada, Las Vegas (UNLV) teaching various computer related courses. Concurrently, he established a consulting business (Operations Analysis, Inc.) and developed many software applications one of which he patented and used as the director of technology to guide an e-commerce company (Purchase Pro, Inc.,) to a successful IPO during the dot.com era. Subsequently, he began working with Ivaylo and Kate to streamline information systems that connect the nutritional-supplement distribution chains down through manufacturers to their sales representatives to their practitioners and then to their patients. After retiring from UNLV as an Emeritus Faculty Member, he co-founded Kaerwell as CTO to manage the team that develops and supports efficient software platforms for nutritional support of national wellness. Meanwhile, he enjoys his wonderful family of eight children and 29 grandchildren. He continues to promote charitable initiatives through his 501(c)3 charitable organization Kokena.org including the NETGifting.com system which enables members of communities to give gifts to each other and a database of ancient religious manuscripts that provide historical evidence (RestorationEvidences.com) of God’s love for his children. Through personal experiences he knows that wellness comes from knowledgeable health care providers, nutritional supplements and faith.